Half-day tour escorted by guide and by de-luxe motorcoach. Pick-up from the hotels. 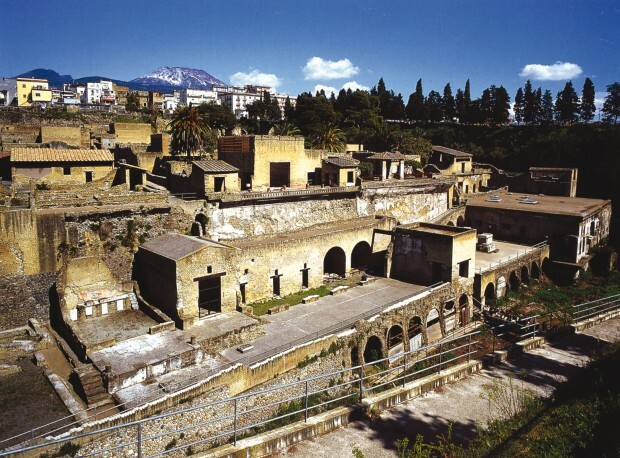 Herculaneum is well known as a very important archaeological centre for the remains of an ancient Roman town that, as Pompei, was covered by a great stream of lava mixed with mud during the eruption of Mount Vesuvius in 79 A.D. . What can be admired today, after the excavations, are the remains of a town suggesting the presence of rich inhabitants, thanks to the discovery of bronzes, marble statues and silver objects. Expected return at 2.00 p.m.